Thank God for lyric sheets. Otherwise my buddy would still be doing Dirty Deeds with the Thunder Chief. HAHAHAH! I never ever heard that before. That’s great Bop! This was a grade school buddy in 70’s. I let him sing it a few times and corrected him. He told me I was wrong though. Kristy Knight or KK as she is known did a weekly segment on 97.7 HTZ FM of misheard lyrics. I contributed a bunch I knew. Maybe I should do a misheard lyrics post. Like your use of Maiden puns here. When I first came to England 30 years ago, it was at the height of the ‘Madame Cyn’ trial where she was eventually acquitted of the charge of running a house of ill repute. I always thought that 22 Arcacia Avenue was about that house. The lyrics seem to suggest that. 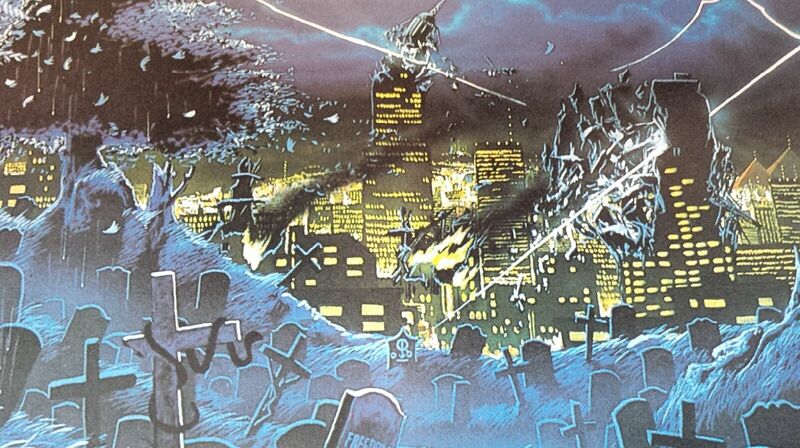 But you can’t fault how great an album “Live After Death” is. It’s one of my favourite live albums of all time. Yeah I’m sure you’re right Metal Man. I didn’t know about Madame Cyn but it seems it probably served as an inspiration, especially if it was in all the papers. Knowing Iron Maiden, it probably was the inspiration behind the song. I like learning vocabulary from music – as you said with Maiden, I imagine a lot of artists don’t get the credit they deserve for introducing people to new words, ideas, and sparking an interest in history. Comic books too. I stand by comic books as a valid form, albeit a different form, of literature. Before literature there were cave paintings and comic books combine the two. Scream For Me LeBrain……Scream For Me LeBrain! Nice! I still don’t own this one actually – although I’ve heard it so many times. A mate of mine just taped the intro and all the bits between the songs, just using a crappy old tape recorder and a C60 tape. It was a strange listen. The band that spawned a long-term enthusiasm. Terrific! Changed my life. I wouldn’t be doing what I’m doing now. That’s for sure. Maiden FTW! Up The Irons! Some gems in this blog post that’s for sure! Speaking of Maiden, I interviewed a Marvel comic book artist who told me someone from the Iron Maiden clan contacted him to work on their new comic as the lead artist. My jaw almost dropped to the floor when he told me that. It turned out he was too busy with other commitments to take the job sadly. 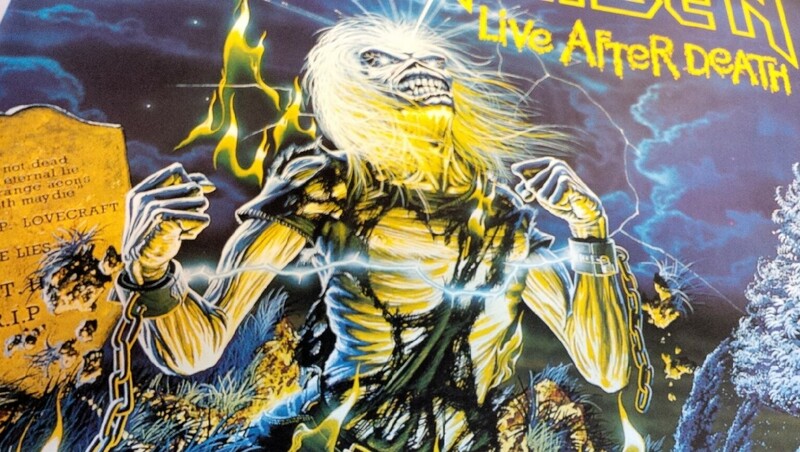 My buddy had the life size(well about 6ft tall) poster of Live After Death on his wall in HS. Love Maiden. I am in the minority of my friends but Piece of Mind is my favorite! It just has a heavy vibe with great progressive chops before they got heavily produced and then the synths…. nice post! Nice! That band for me was Aerosmith, but I don’t think I could name a single song, I loved all of them. I don’t think I’ve listened to anything else for at least a year. And just like you, I struggled to understand all the lyrics and to make sense of them (given that English isn’t my first language). Great memories. It was 1984 and Maiden were third on the cover after Priest and Quiet Riot? Ridiculous. Speak to him…they were probably speaking lots but he couldn’t hear them!